Mr. Guenthner’s years of experience in business law and estate planning enable him to provide practical and innovative solutions to the most complex challenges. Through the years, Bob has worked with clients through numerous business formations, sales, acquisitions and mergers. His extensive experience in banking includes representing buyers and sellers, the formation of holding companies and representation of clients before state and federal regulatory agencies. Serving as a director of several banks has given Bob firsthand insight and understanding of how banks look at businesses and loan applications. Bob brings years of experience to the table in planning and administering both small and large, complex estates and trusts. His services include business and personal tax planning; estate planning; preparation of both simple and complex wills and trusts; and administration of large and complex estates and trusts involving agriculture, oil and gas, taxation, business, and banking law. 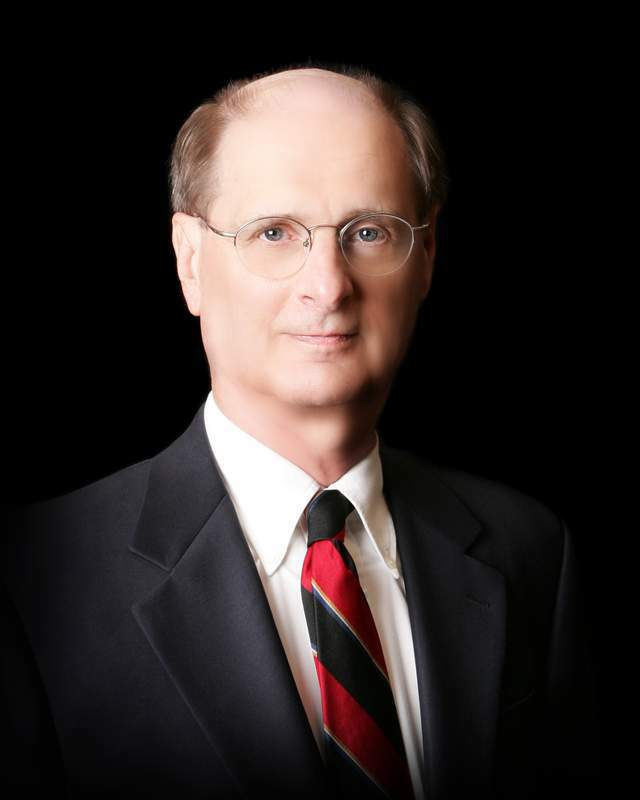 Bob has served as an expert witness on matters involving estate planning, as well as matters involving lawyers’ ethics. Martindale-Hubbell Law Directory has rated Bob at the highest AV®* rating for lawyers. He was honored by the Kansas Bar Association as the recipient of its Professionalism Award and by the Kansas Supreme Court as the recipient of its Justice Award. A founding member and past president of Episcopal Social Services, Bob is dedicated to serving his community. He serves at his church, and can be found reading to local elementary school students as part of the “Reading is Fundamental” program. In his spare time, Bob enjoys travel (he travelled around the world twice by the time he was 20 years old). He also has a rather unique hobby: collecting and restoring antique carousel animals!